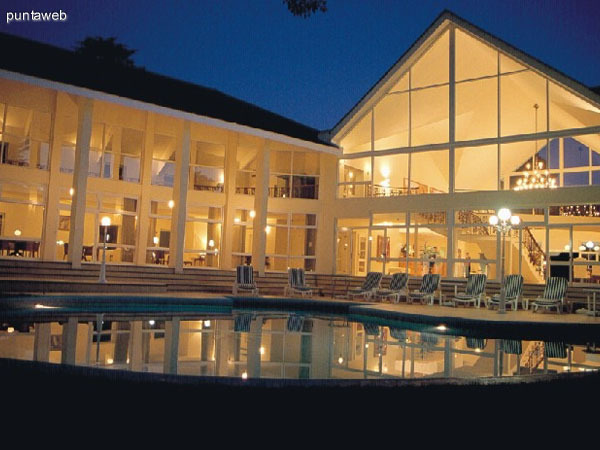 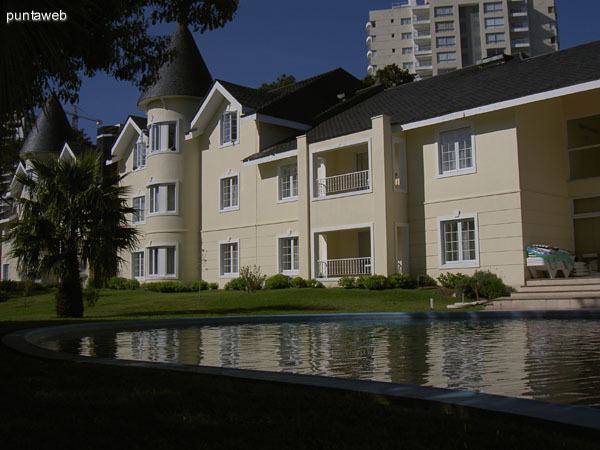 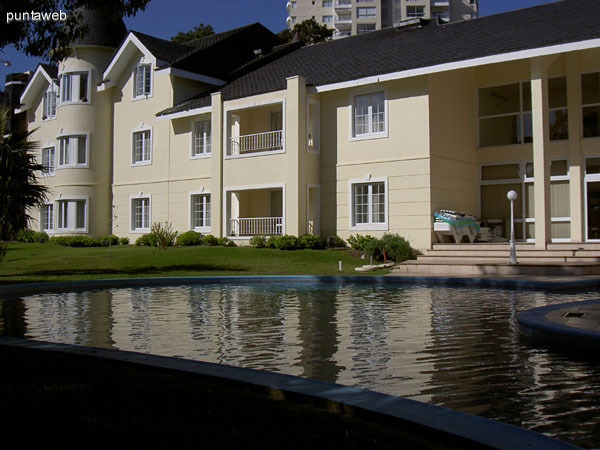 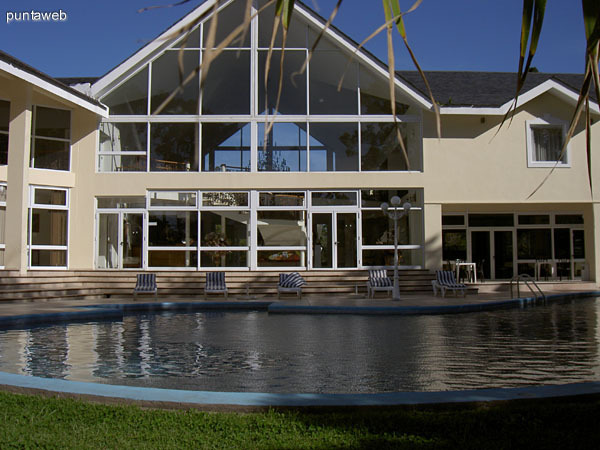 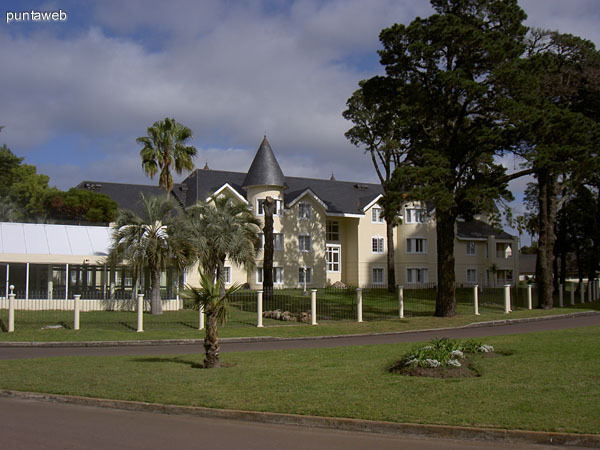 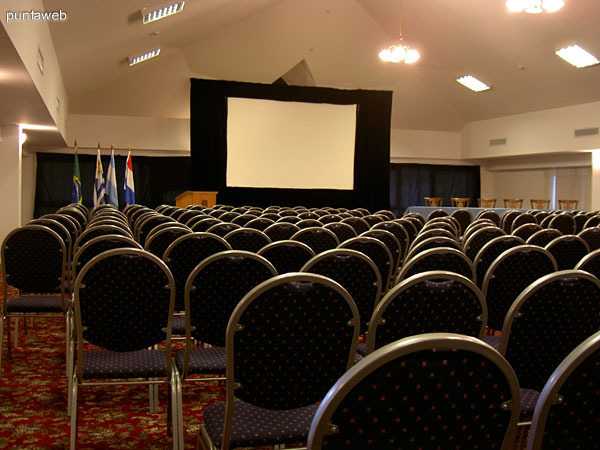 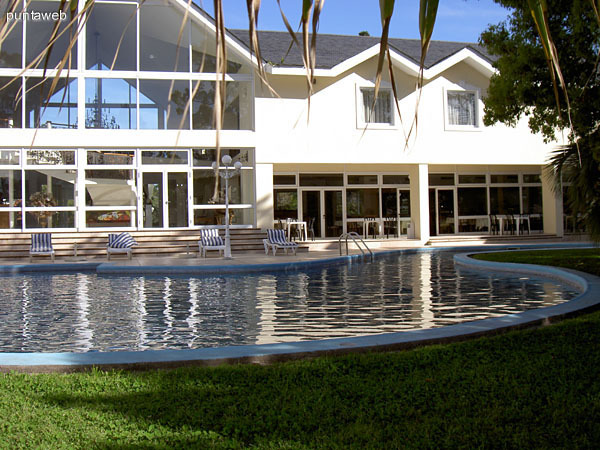 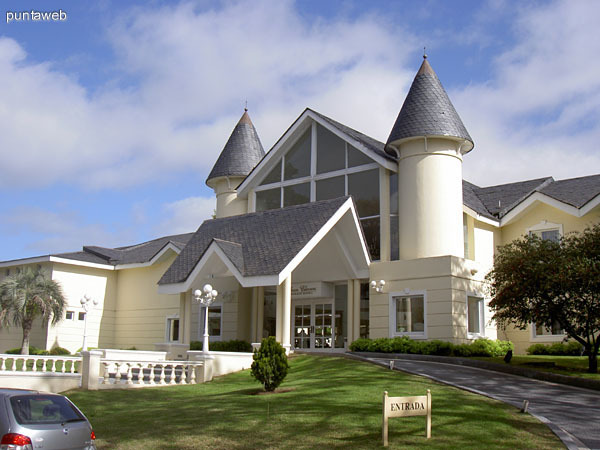 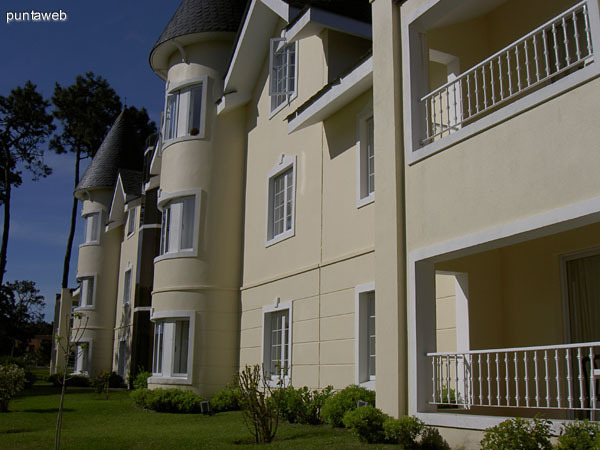 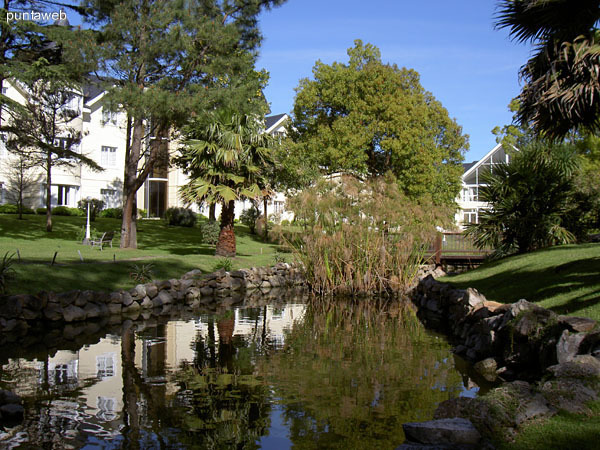 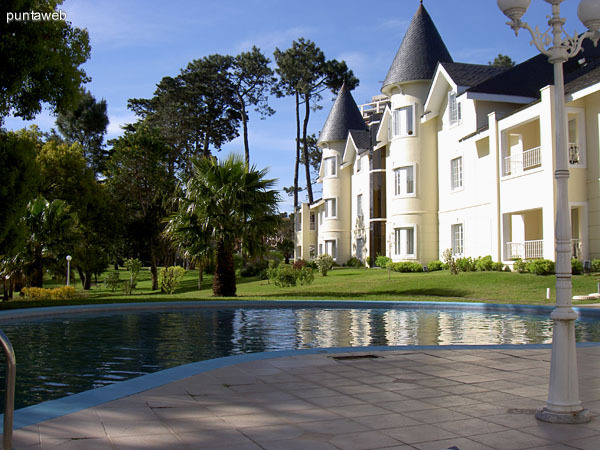 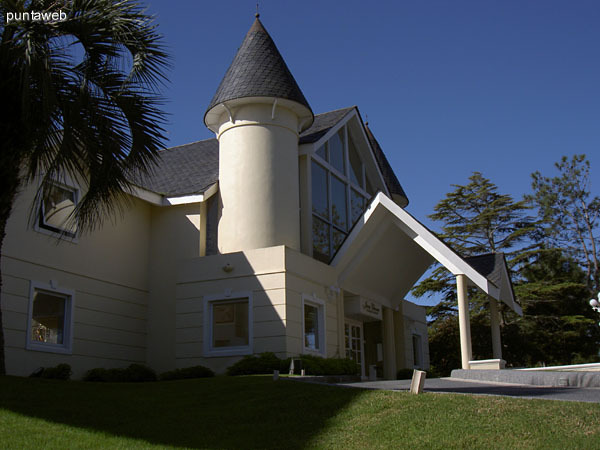 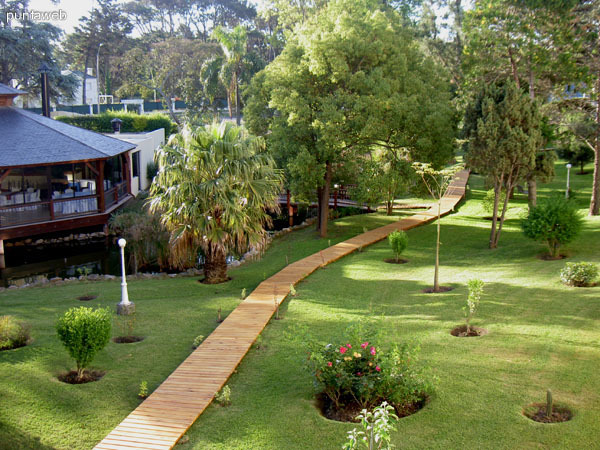 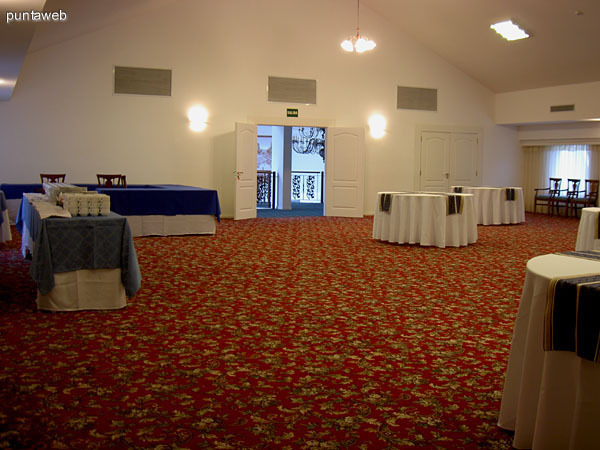 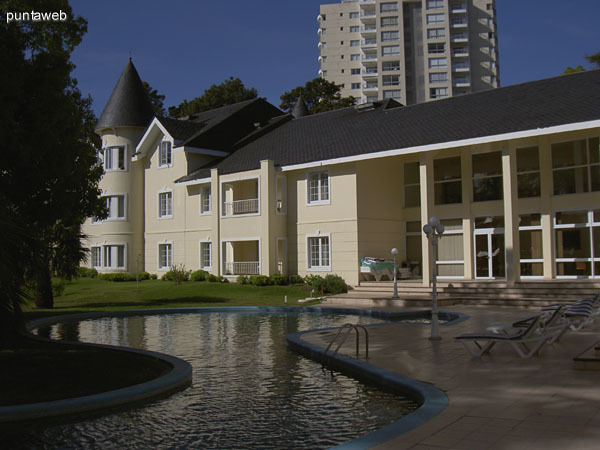 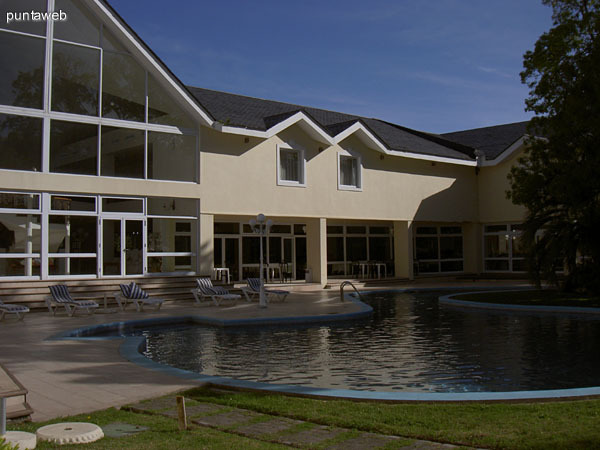 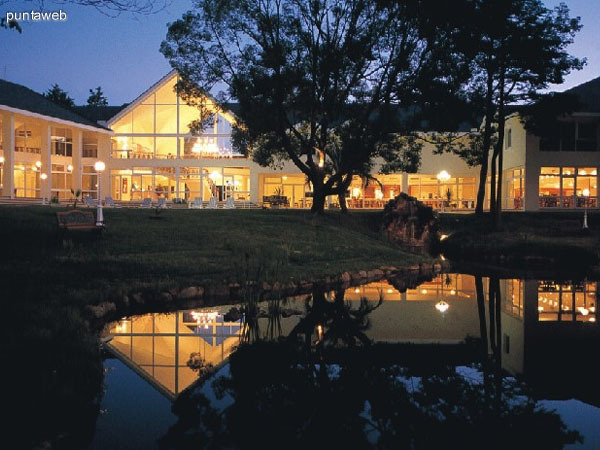 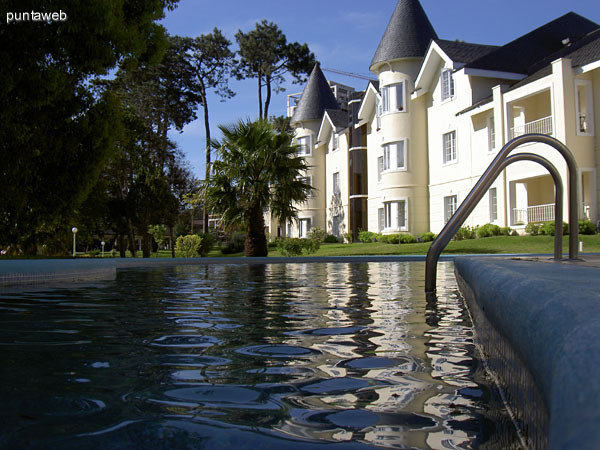 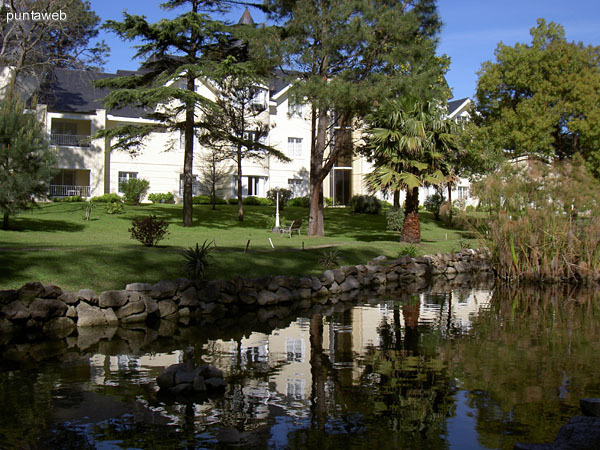 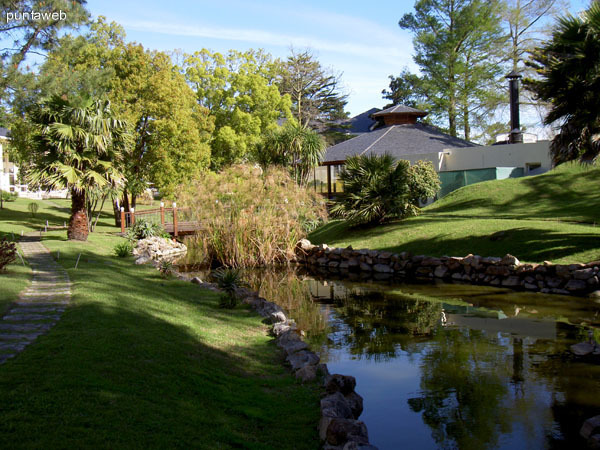 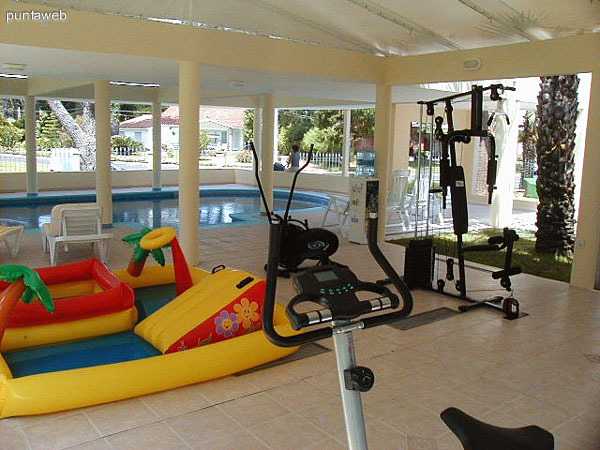 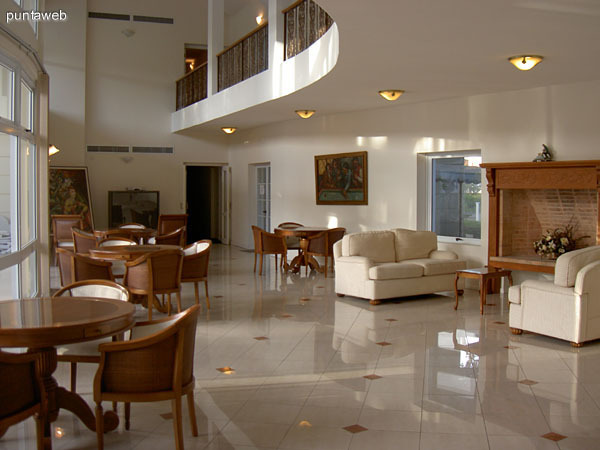 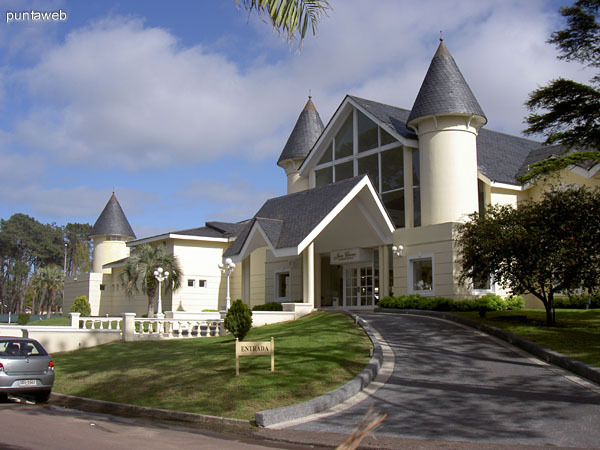 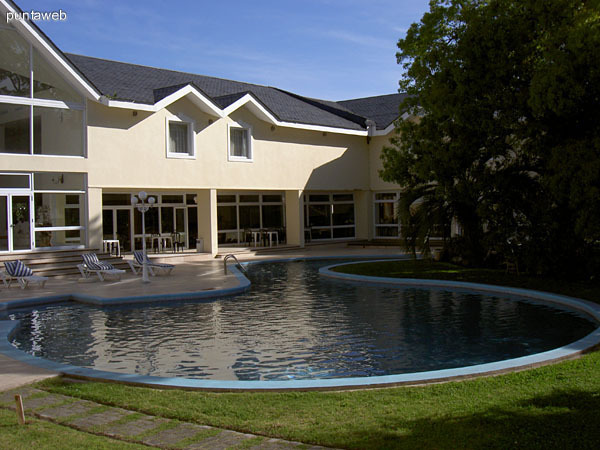 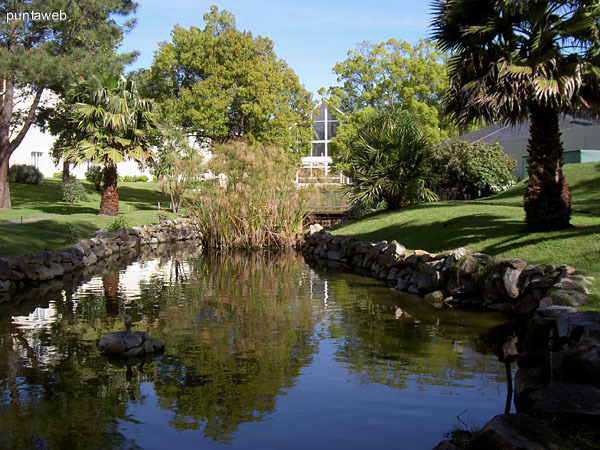 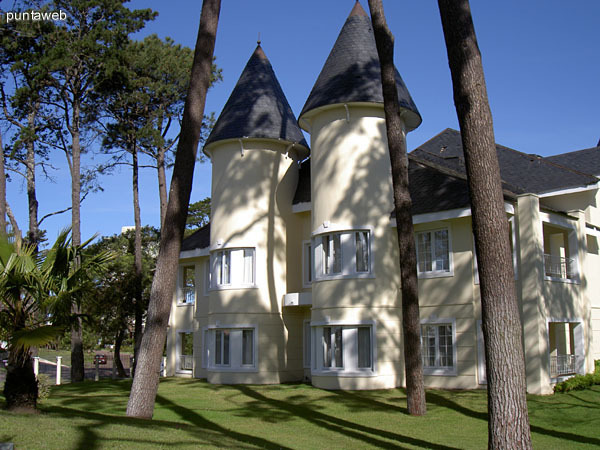 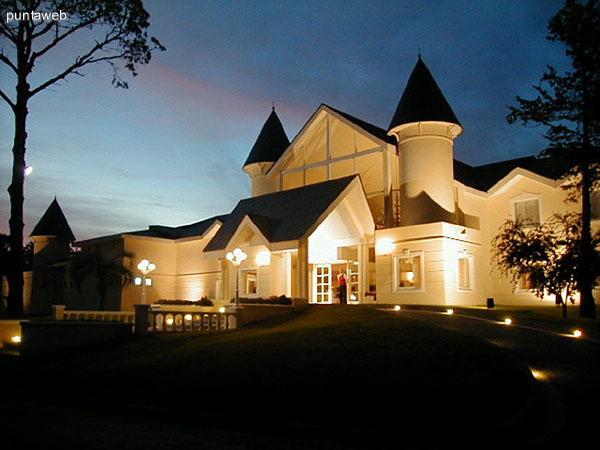 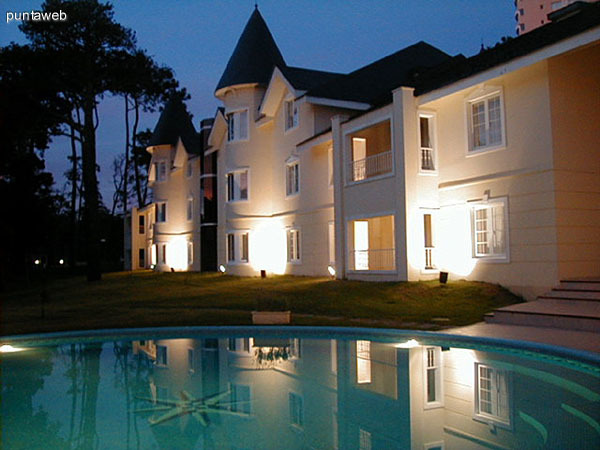 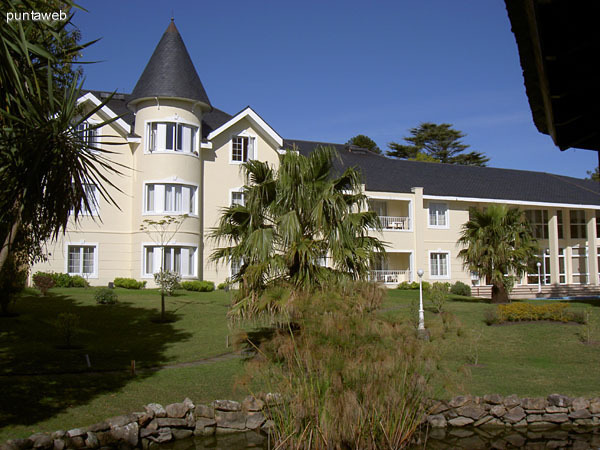 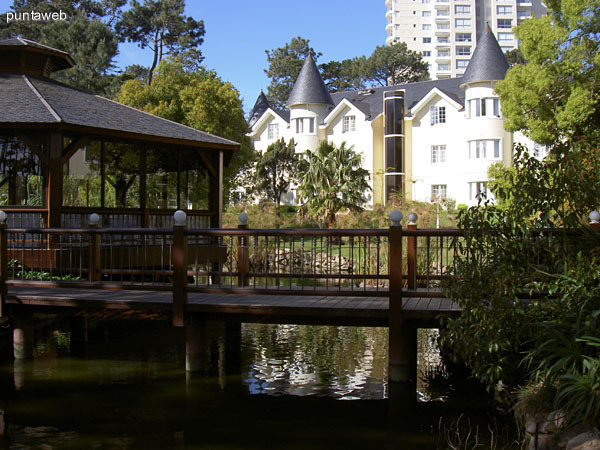 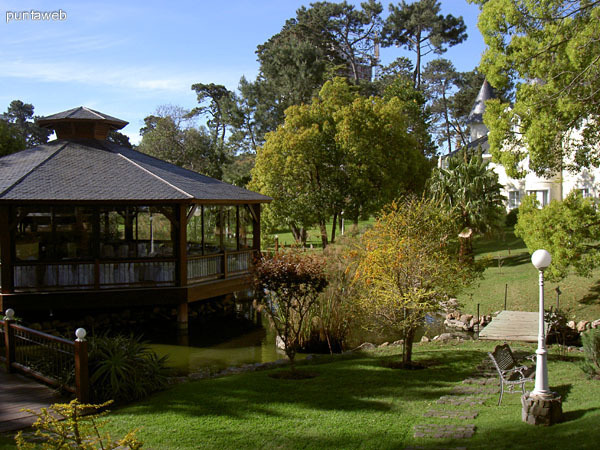 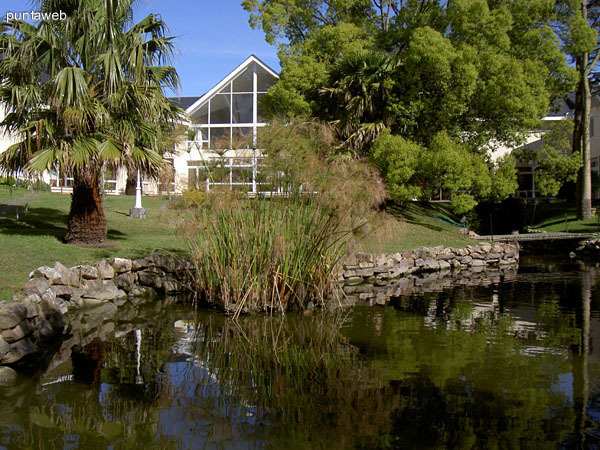 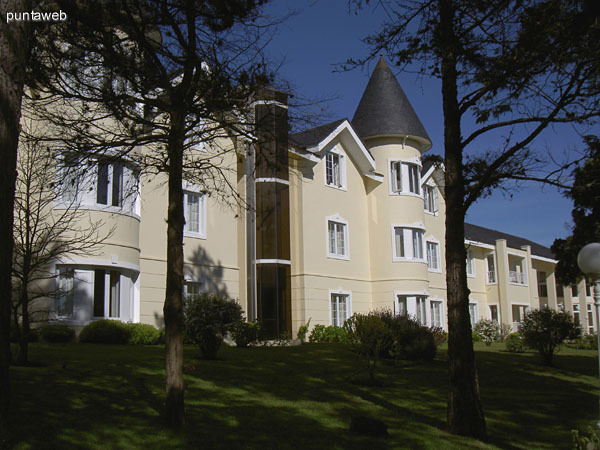 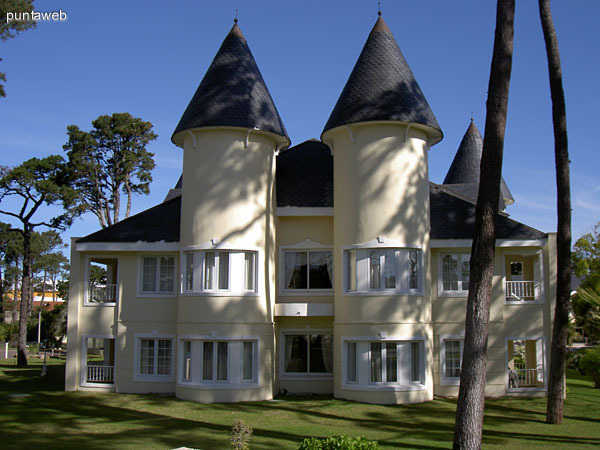 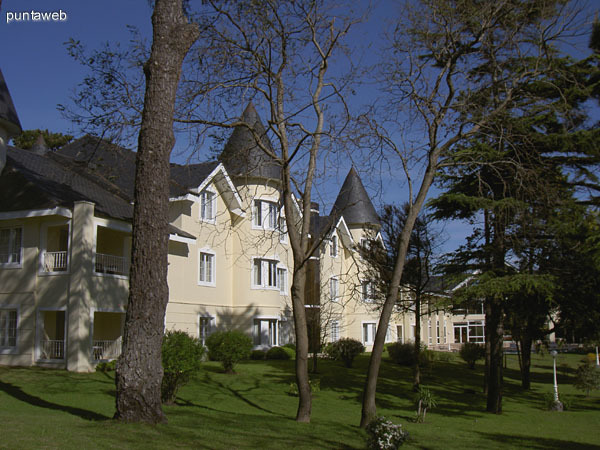 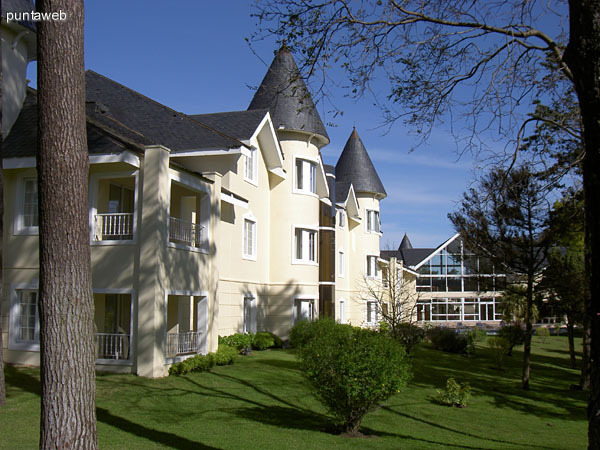 The complex is located in a 11.084 m� park, in the middle of Punta del Este, between Budapest and Villa Princesa streets -Artigas Bvar. 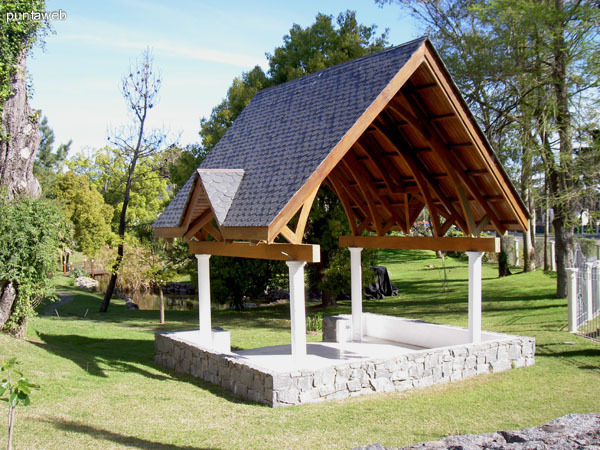 and 7th Bus Stop-, in the former Jean Clevers Park. 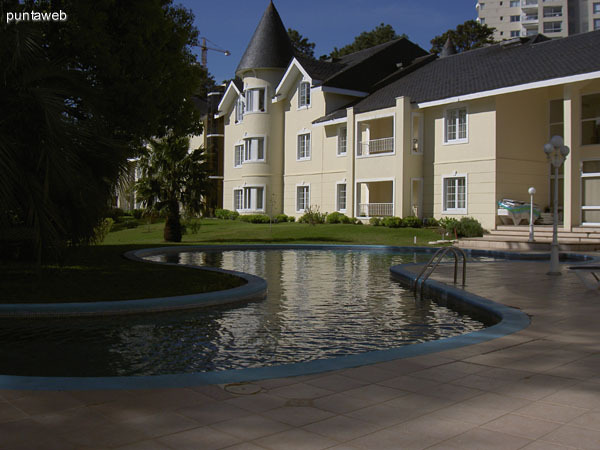 Its strategical location stands out, only 100 meters away from Punta Shopping Center and 400 meters away from Mansa Beach. 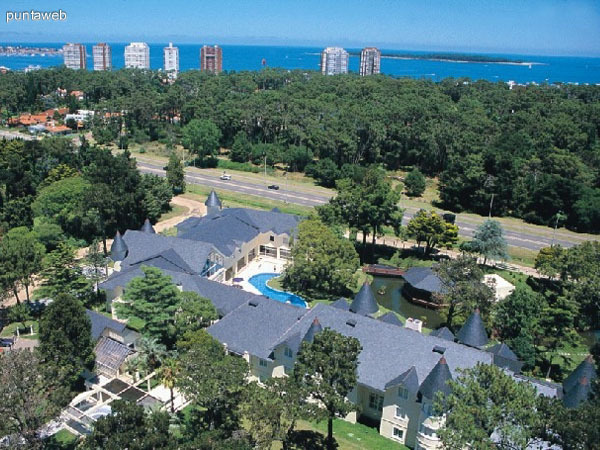 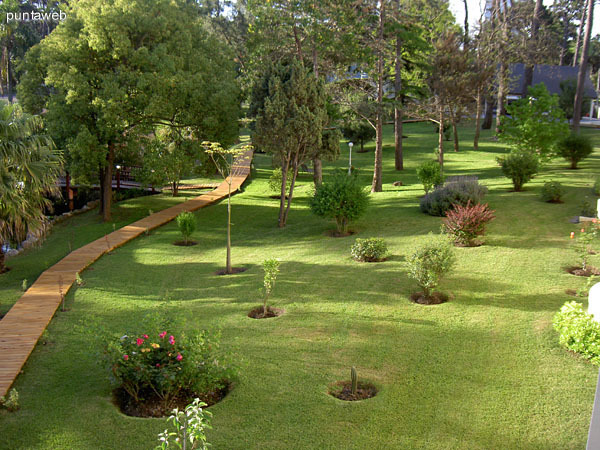 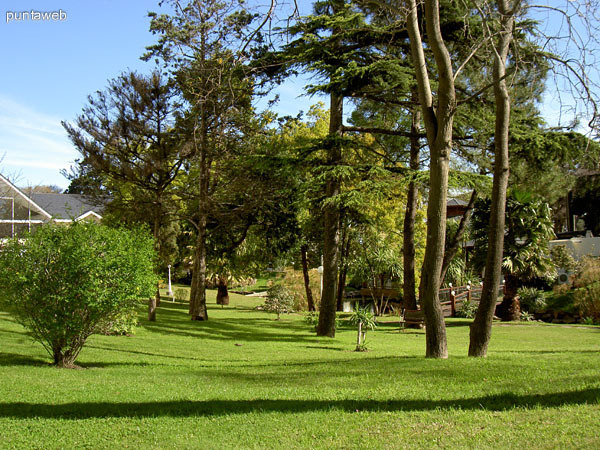 It's a qualitatively different proposal than the ones offered in Punta del Este's market, with 9.000 m� of park, with ancient species of trees. 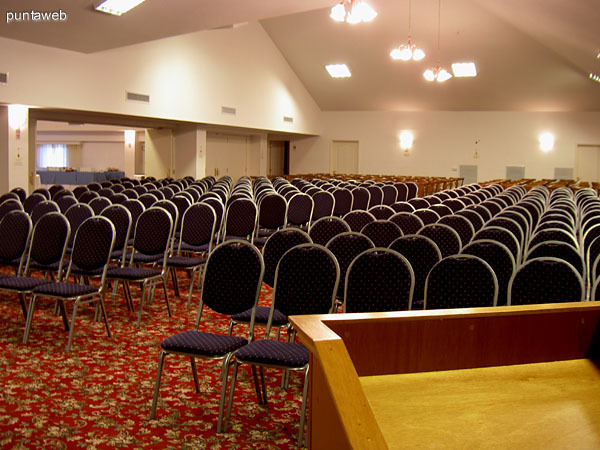 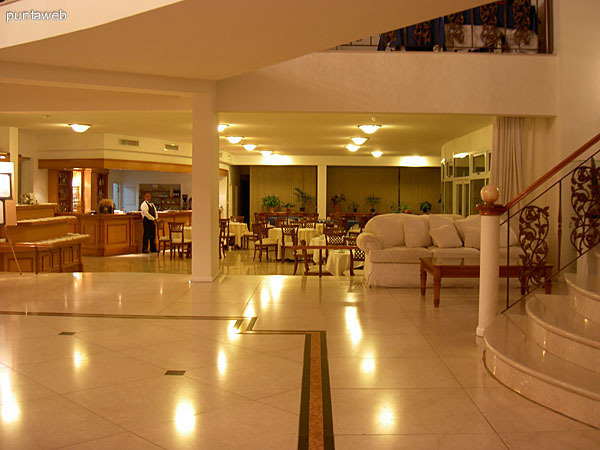 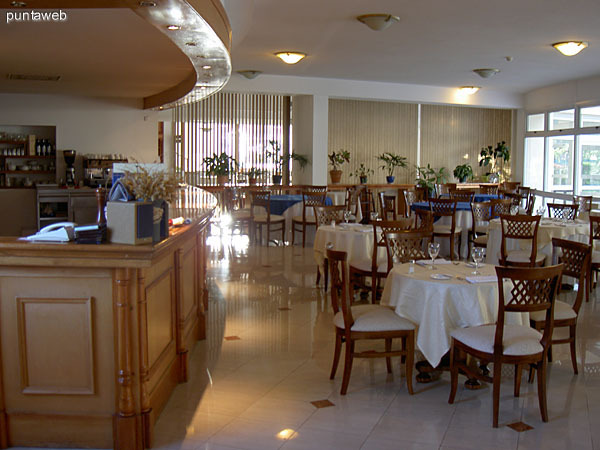 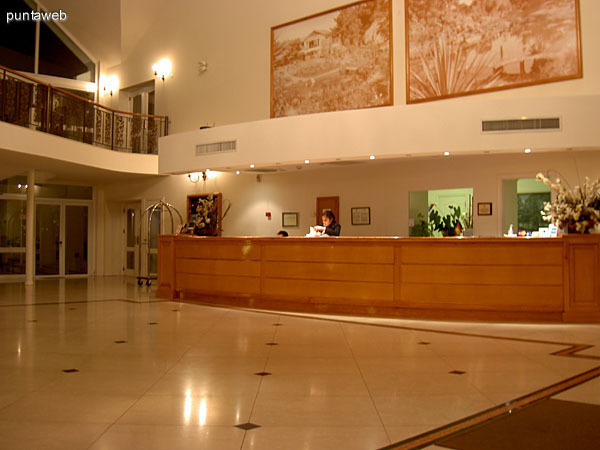 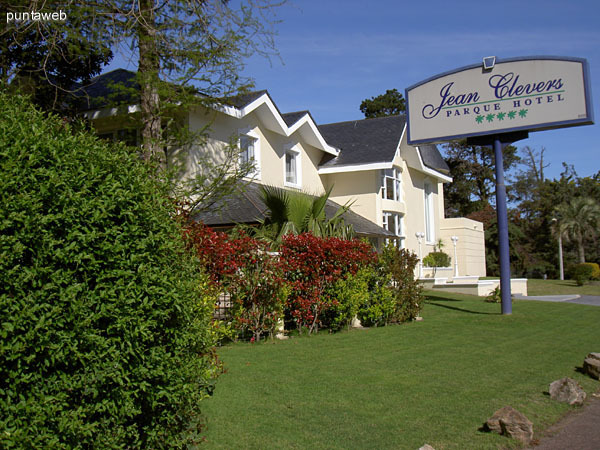 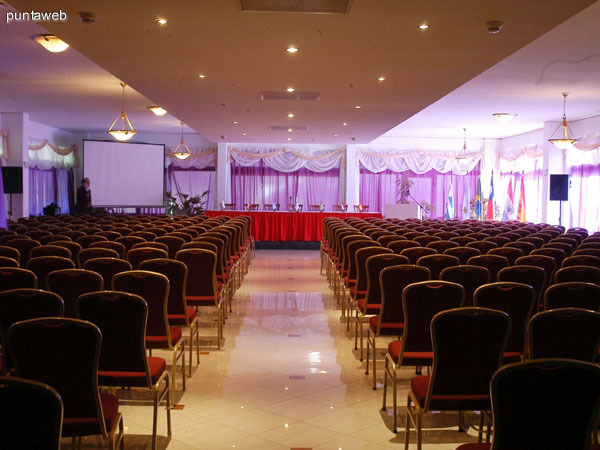 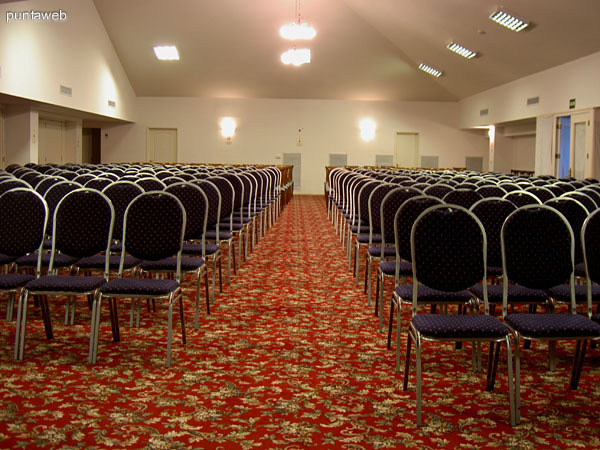 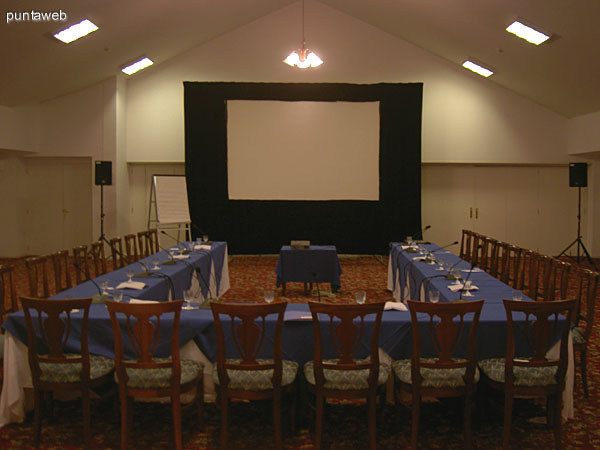 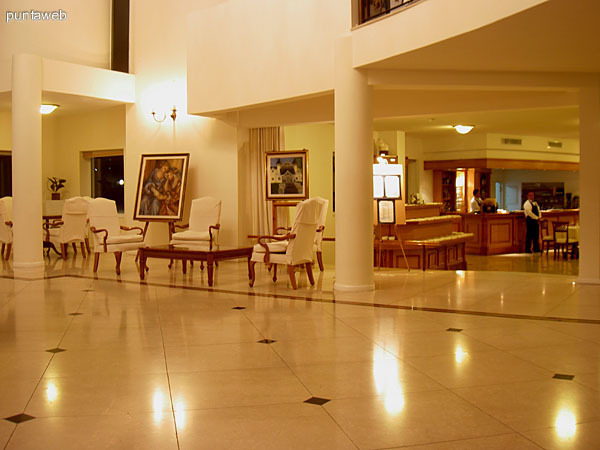 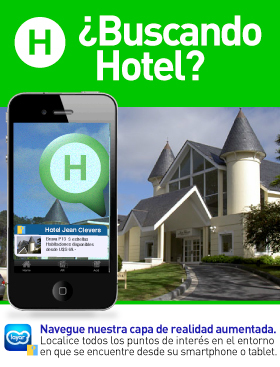 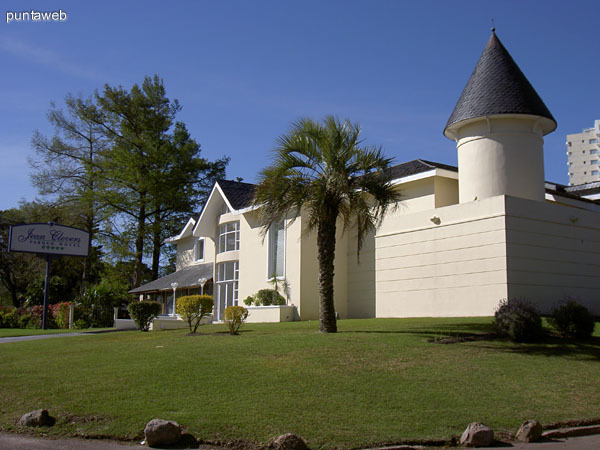 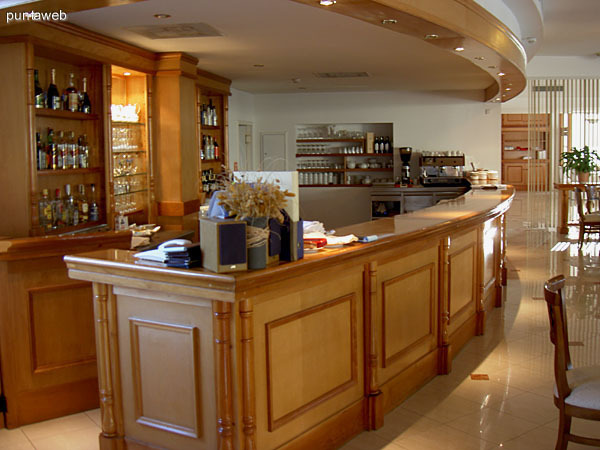 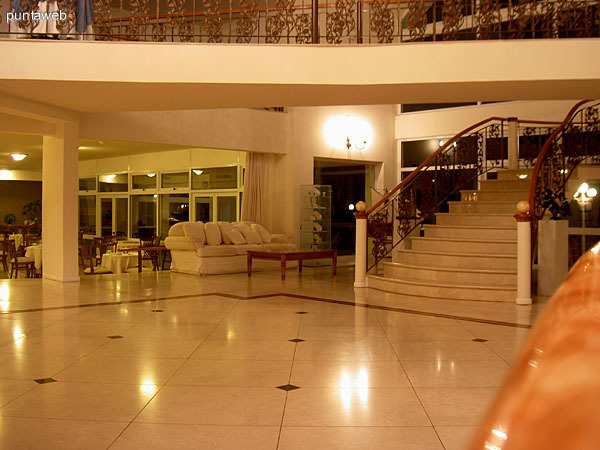 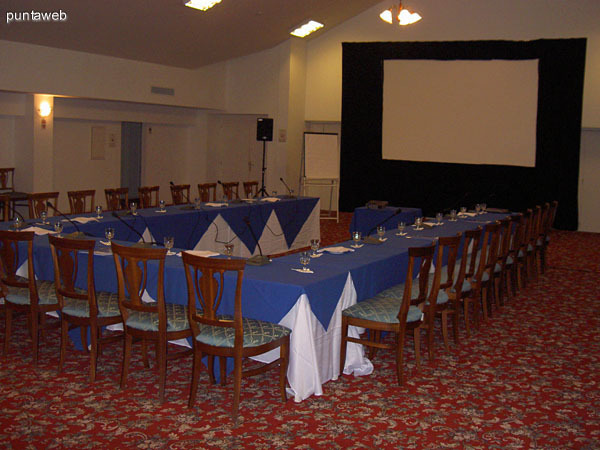 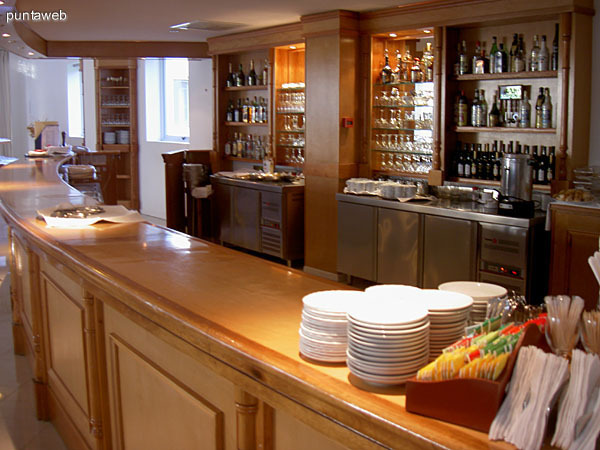 50 rooms, refinedly furnished, thermically set up, equipped with TV and frigobar. 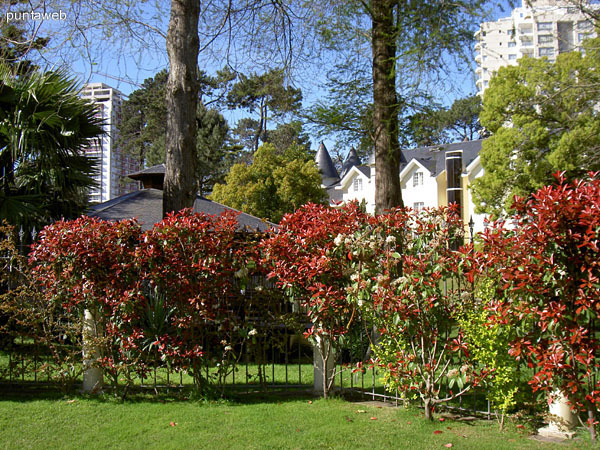 Panoramica elevator with an attractive view to the park. 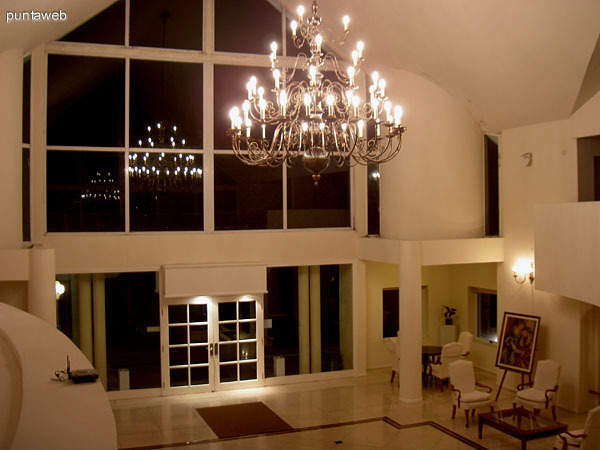 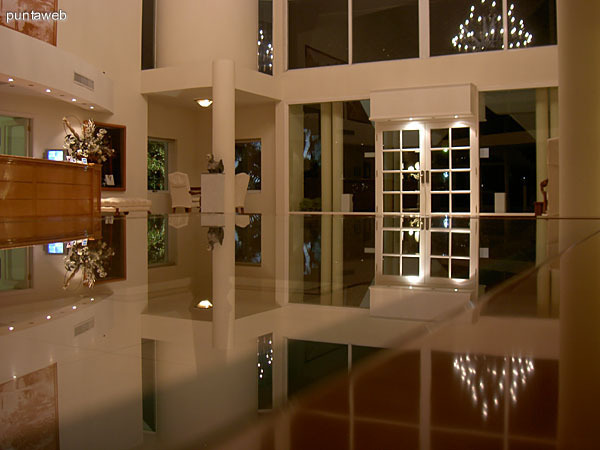 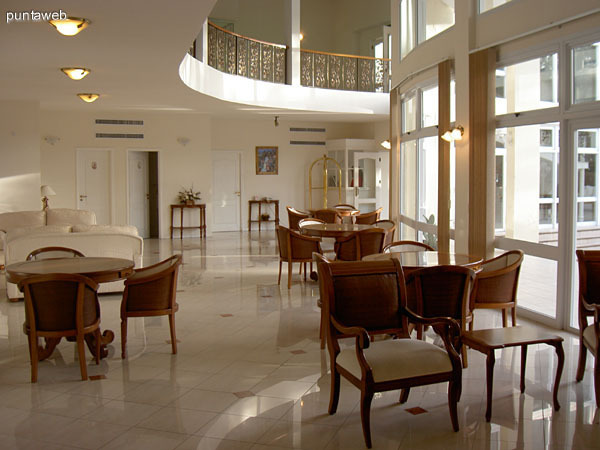 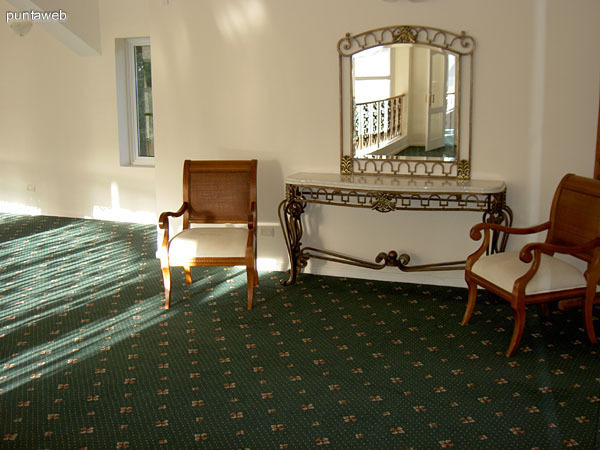 Lobby and Reception: with views to the park and the lake. 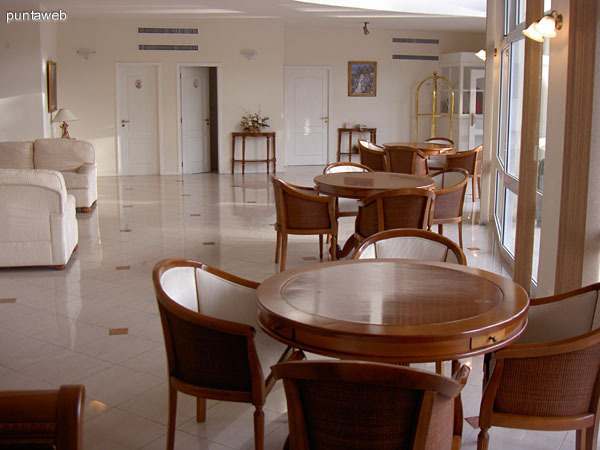 Exclusive access area for passengers, with fireplace, comfortable sofas and game boards. 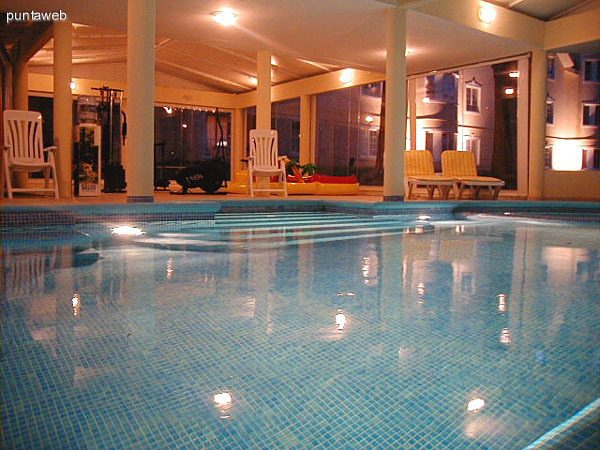 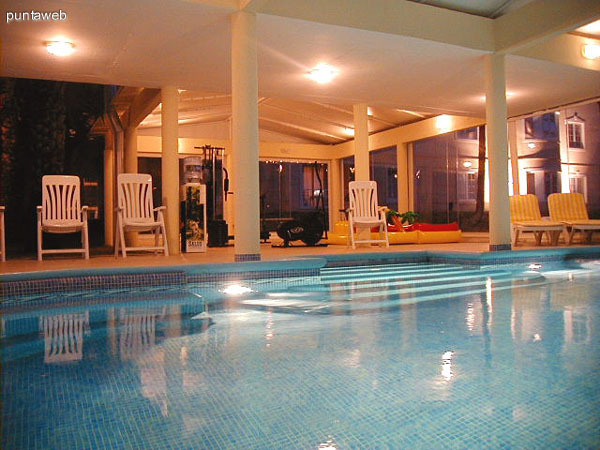 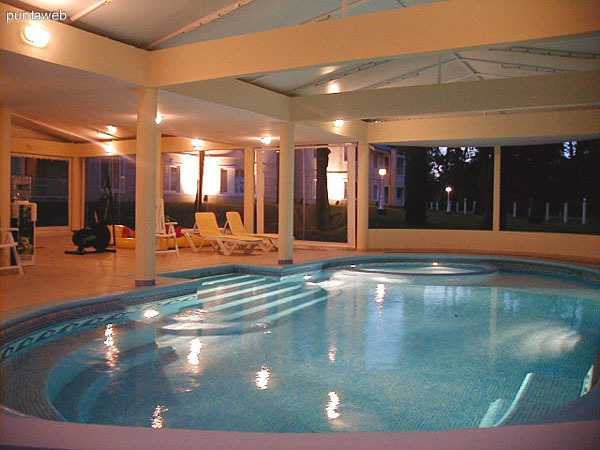 Open swimming pool integrated to the landscape and heated swimming pool. 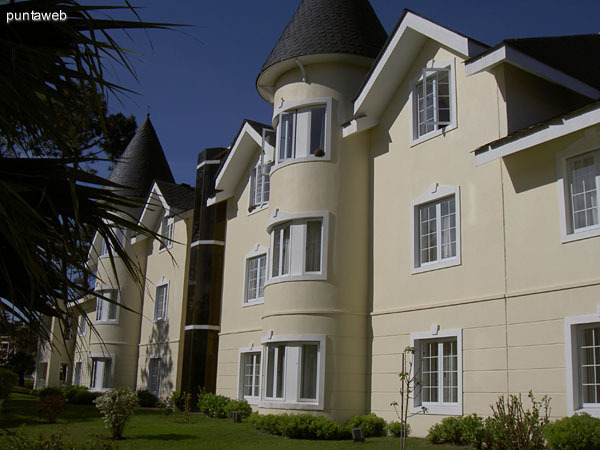 Superior Double rooms consist of a bedroom with balcony and bathroom. 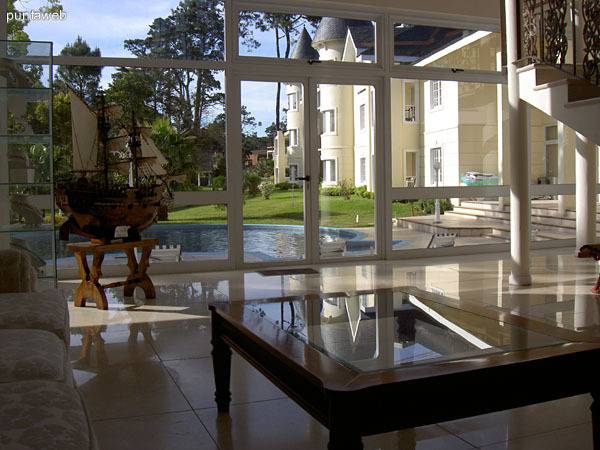 The furniture consists of a small desk where lays the TV. 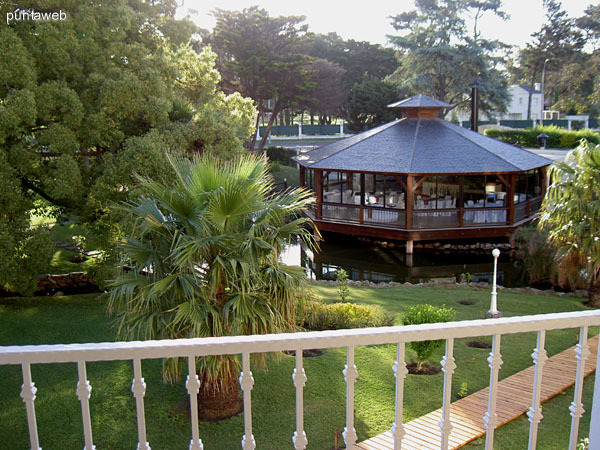 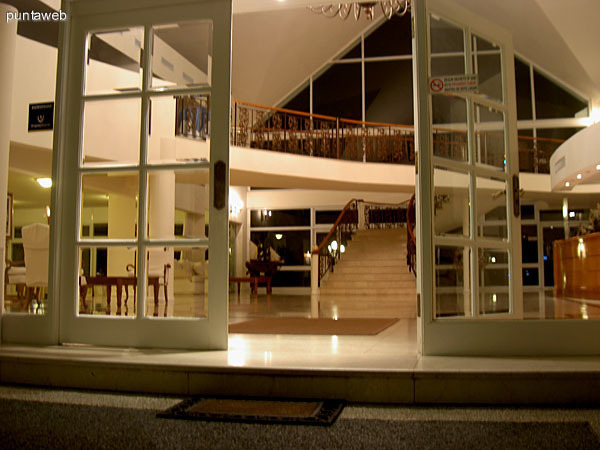 The balcony leads to the hotel's park. 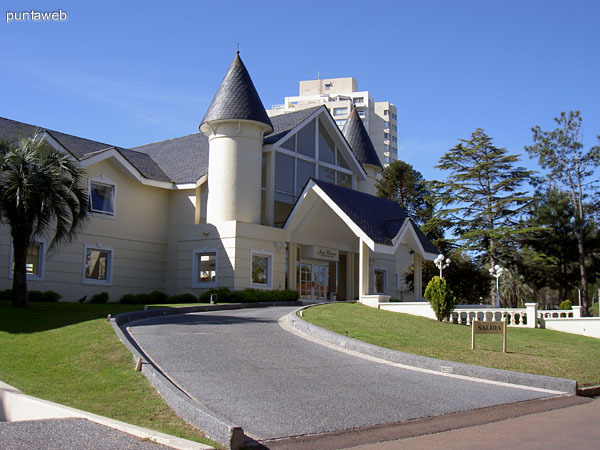 Punta del Este international airport 21 km. 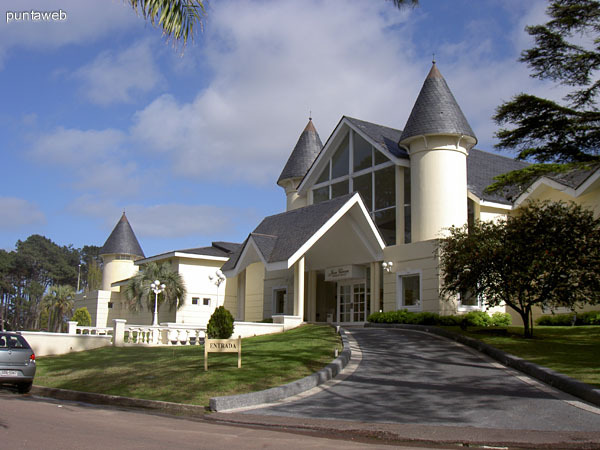 Montevideo International Airport 140 km. 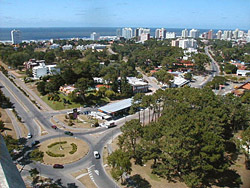 Punta del Este Bus Station 2 km. 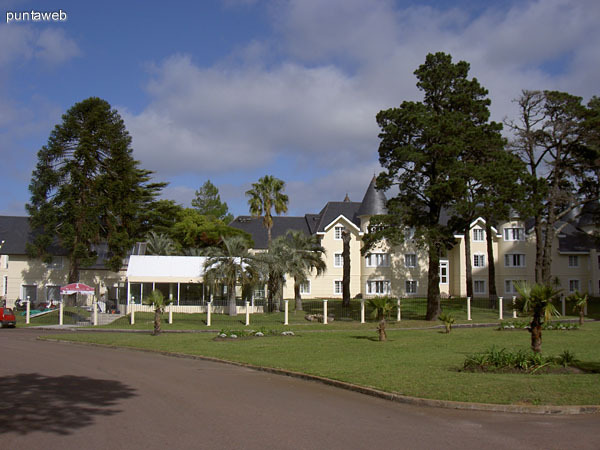 Maldonado Bus Station 4 km. 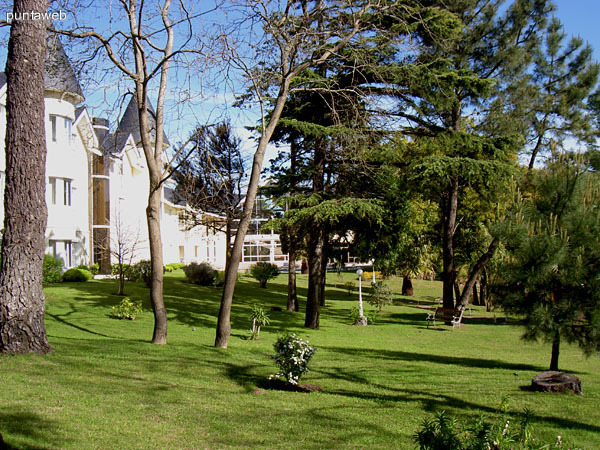 Tres Cruces Bus Station 150 km. 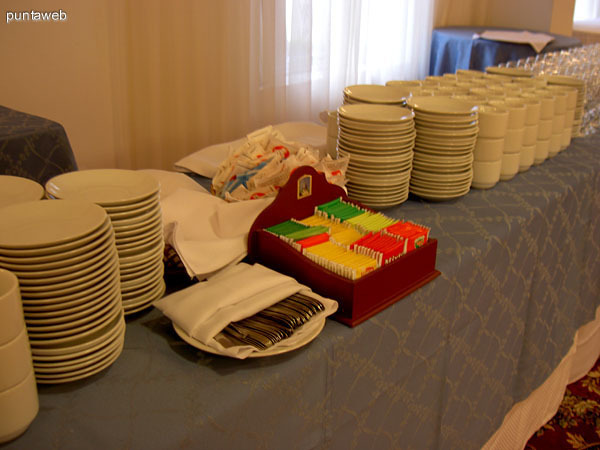 Breakfast time From 08:00 to 12:00 hrs.